The mobile industry tends to change every now-and-then as OEMs follow what customers want. Previously, the trend was and still is increasing the screen size. After that, we started seeing companies actually focusing on the camera quality. Last year has seen a lot of improvements, one of the major trend was the shift of moving away from the traditional 16:9 aspect ratio in favour of making devices easier to hold. 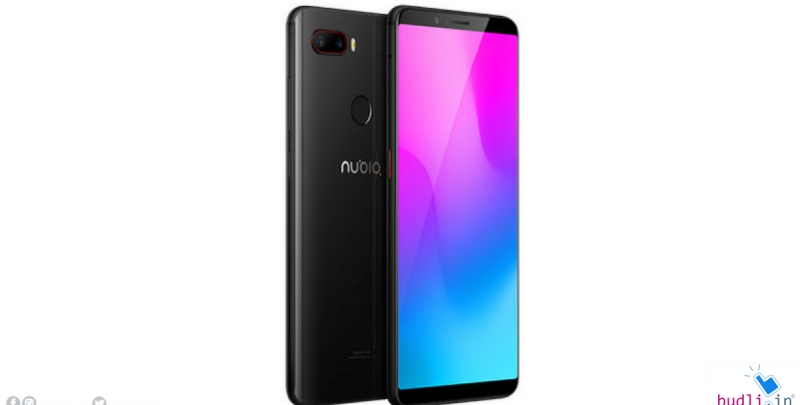 Nubia which is a sub-brand of ZTE has recently released their new Nubia Z18 mini flagship with an 18:9 aspect ratio. In this post, let’s see whats in this new device. Recently Nubia has launched their latest Flagship- Nubia Z18 mini in China. Nubia Z18 mini comes after the release of the Nubian V18 Flagship. Let’s roll out the full specifications of the flagship. Nubia Z18 mini will have a 6GB RAM and 64GB and 128GB inbuilt Storage variants. It is also said to be powered by a powerful octa-core Snapdragon 660 processor, which is clocked up to 2.2GHz and runs Android 8.1 Oreo with UI on top. The handset is also equipped with Adreno 512 GPU which makes graphic processing and transmissions very smooth and lag-free. Nubia Z18 mini just like all the other recent flagships has a dual camera setup at the back, with 24-megapixel and 5-megapixel sensors with f/1.7 aperture and new vision 7.0. The front has an 8-megapixel camera with f/2.0 aperture. Front camera comes with an Artificial Intelligence beauty pre-filling light feature. It sports a 5.7-inch full-HD display with a resolution of 1080×2160 and an 18:9 aspect ratio and 85 percent NTSC colour gamut. This aspect ratio surely makes the device looks like a bezel-less display. Nubia Z18 mini has a battery capacity of 3450mAh. Although this battery capacity is not the highest in the market, it can still get the job done and will come-in for a decent one-day usage. The smartphone is available in Black, White, Blue and Pink colour variants. It also comes with a limited Provence edition with Purple colour. Z18 mini has Light sensor, Distance sensor, Compass sensor, Gyroscope for added functionalities, and a Fingerprint Scanner which enables the users access their smartphones using the users fingerprint. The device also supports the latest 4G VOLTE as well, so you can use your 4G enabled mobile carrier with ease in the Nubia Z18 Mini. Having a high-end new smartphone is what most of the people crave for. The only reason they take a back step is because of the price points of branded new models. Here is budli.in to help you bring home your choice of a gadget. Budli.in is the largest re-commerce site for refurbished electronic gadgets. At budli, it is very easy to get your old device refurbished and upgrade to the device of your choice with great discounts. Why wait when you can bring home the best device at an affordable price from budli.in.